Real estate experts in many parts of the country are saying now's the time to buy. That may seem paradoxical, with 30 percent more foreclosure filings this February than last, and the median price for homes in the U.S. falling 15-percent in the most recent report, to levels we haven't been seen in six years. But bad times for many are creating great deals for others. Early Show money maven Ray Martin weighed in on the Saturday Edition about whether buying is indeed the way go to now, and shared guidelines for anyone who does buy. Martin was the show's "Bargainista" for the day! Yes, it is, and for a number of reasons. For one thing, housing prices are declining just about nationwide. Plus, mortgage rates are at a serious low. Rates on a 30-year, fixed-rate mortgage are at a level we won't see again in our lifetime. Finally, if you buy before December 1, you'll get an $8,000 tax credit if you're a first-time buyer. For all those reasons, there's really never been a better time to go shopping for real estate. DECLINING PRICES HAVE HIT SOME AREAS HARDER THAN OTHERS, MEANING YOU MIGHT FIND SOME REAL BARGAINS. WHAT AREAS SHOULD PRESENT THE BEST OPPORTUNITIES? The areas that have been hardest hit by this housing decline will also provide new buyers with the best opportunities. The cities that saw the steepest declines in housing prices were all in California, Florida, Arizona, Nevada and Michigan. They fell for different reasons. California and Florida were really over-built. They ramped up their building until there was too much supply, not enough demand, and eventually, the market fell apart. Detroit, of course, fell with the collapse of the auto industry. But these declines also represent opportunities if you're looking to buy. The states you'll want to avoid are Utah, Montana, North Dakota, Wyoming and Alaska . They actually saw increases in housing prices, albeit small ones. That's not to say they've escaped the housing crisis. It just means it hasn't hit them yet. IF YOU BUY NOW, THOUGH, THERE ARE NO GUARANTEES THAT PRICES WON'T KEEP DROPPING. BUT IF YOU'RE LOOKING TO INVEST IN PROPERTY LONG-TERM, YOU SAY CALIFORNIA AND FLORIDA AS GOOD BETS. We have an aging population here in the U.S. Aging populations look for warm climates, and as the population ages, that will impact on the supply side of housing. There is every reason to think those warmer states will become competitive again. Of course, there are no guarantees. ARE THERE RULES ALL PROSPECTIVE BUYERS NEED TO LIVE BY TO WIN AT THE REAL ESTATE GAME? Yes. First, a 20-percent down payment is a must. And you have to have it in your hands: Never borrow that down payment. Next, make sure you go with a fixed-rate mortgage, never a variable-rate one. Also, be aware of what you can afford in terms of mortgage payments; and a good rule of thumb is that an affordable payment is 30 percent of your gross income, or less. Finally, you have to have an emergency fund, in cash, on hand, after you buy. It should equal six months' worth of living expenses. Those are the rules we lived by in the '90s. Then, irresponsible buyers and lenders began to ignore those rules, and the housing mess was created. 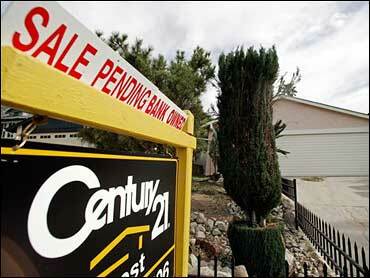 FORECLOSURES CONTINUE TO RISE, WITH MORE THAN 74,000 HOMES REPOSSESSED BY MORTGAGE LENDERS IN FEBRUARY ALONE. ARE FORECLOSURE AUCTIONS A GOOD WAY TO GO, IF YOU'RE BUYING REAL ESTATE? Not necessarily. For one thing, the lien holder generally wins back the homes that are put up for auction. They will nearly always be able to outbid you, and they want the home so they can try to sell it and get back as much of the money they lost in the unpaid mortgage as they possibly can. Also, you have to come to these auctions with the idea that you and the seller are dealing in good faith. They come up so quickly, you usually don't have time to view the house before the sale, so if there are any problems with it, you won't know until you've already paid for it. It would be better to allow the bank to take back the home, and then deal with them, offering something under the asking price, and negotiate.